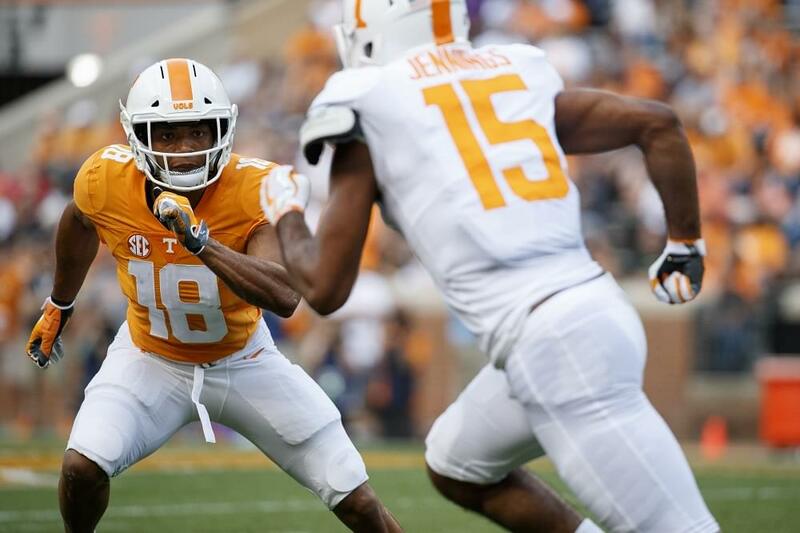 BIRMINGHAM, Ala. – Tennessee cornerback Bryce Thompson was named SEC Freshman of the Week, as announced by the Southeastern Conference on Monday afternoon. Thompson made his first-career start in the Volunteers’ 59-3 blowout victory against ETSU on Saturday afternoon at Neyland Stadium. The Irmo, S.C., native filled the stat sheet with four tackles, two tackles for loss, a pass breakup and his first-career interception, which he returned for 21 yards to the ETSU 3-yard line to set up UT’s third touchdown of the game. Thompson was a four-start recruit out of Dutch Fork High School and was a late get for the Vols in head coach Jeremy Pruitt‘s first signing class. 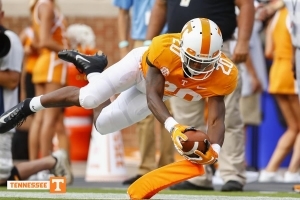 He is one of three true freshmen defensive backs to start a game for the Big Orange already this season. Thompson is the first Vol to bring home SEC Freshman of the Week honors since Ty Chandler did so after Week 2 of last season. The Volunteers will look to earn their second straight win this Saturday when they host UTEP at noon ET at Neyland Stadium. The game will be broadcast live on the SEC Network and fans can also listen to the game on the Vol Radio Network and Sirius Satellite Radio.